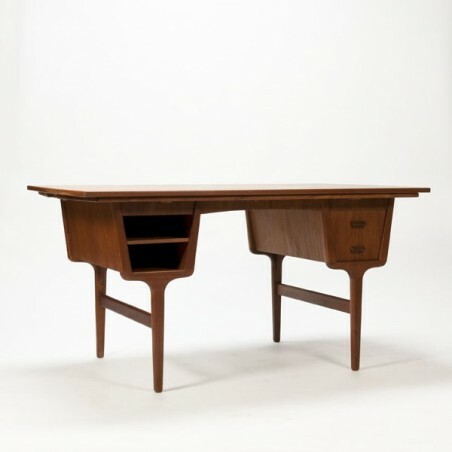 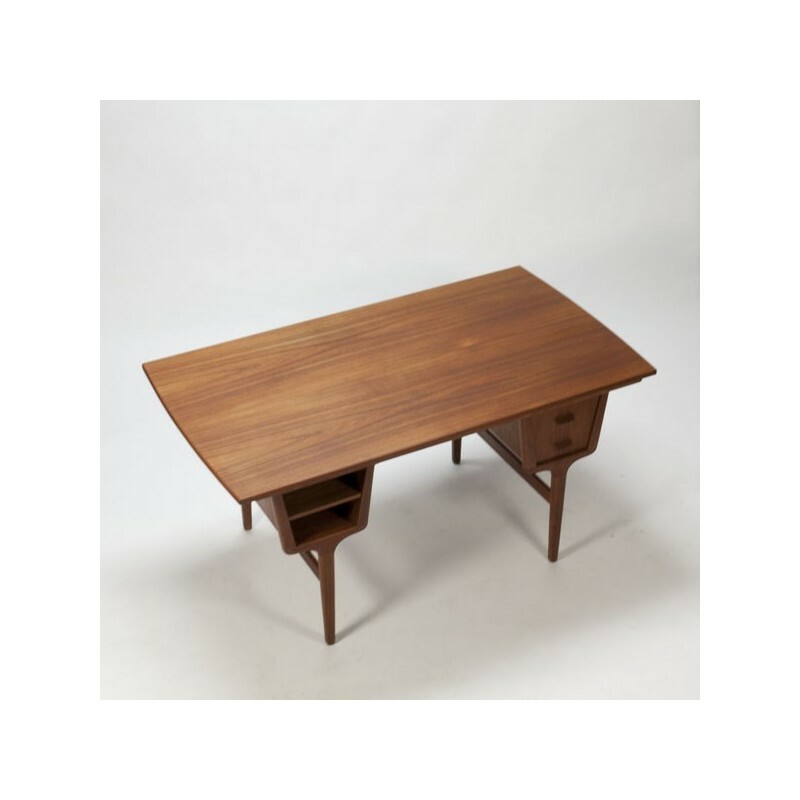 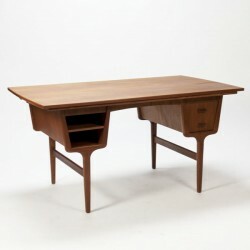 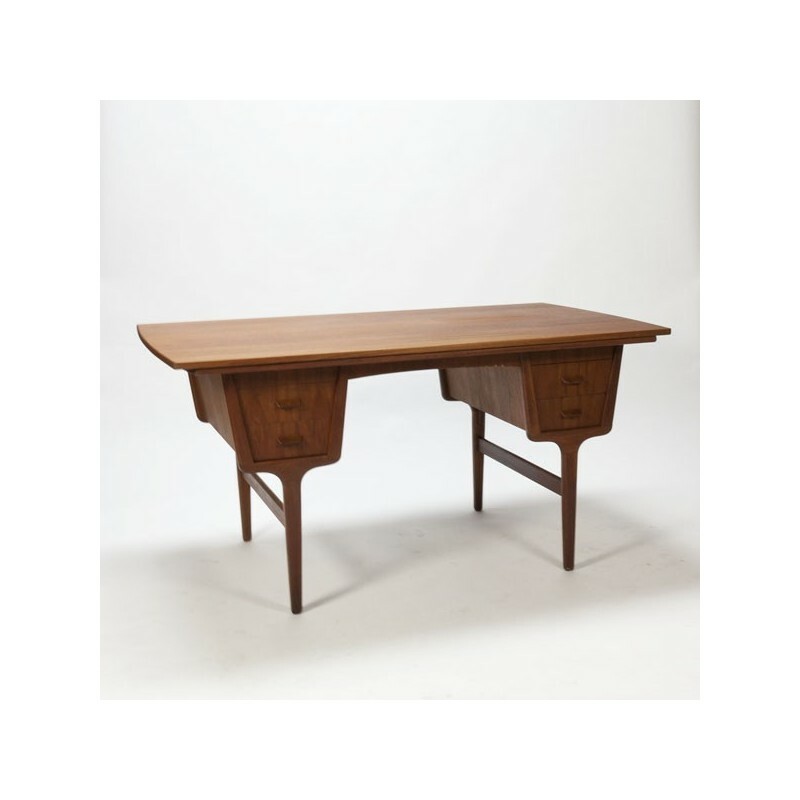 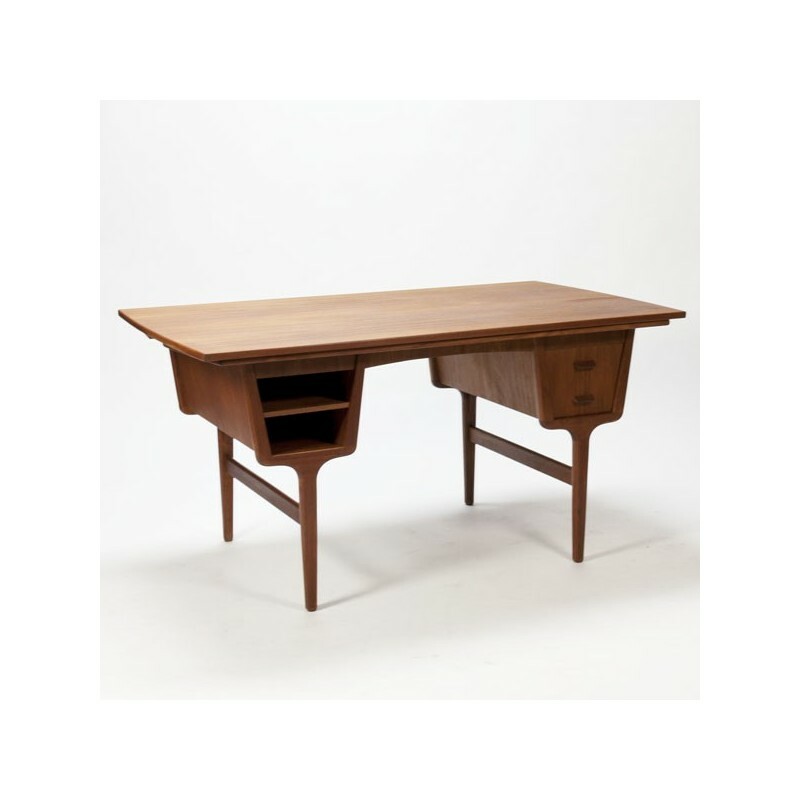 Beautiful desk in teak from the late sixties. The desk is beautiful in the free area, on all sides are beautiful details finished. 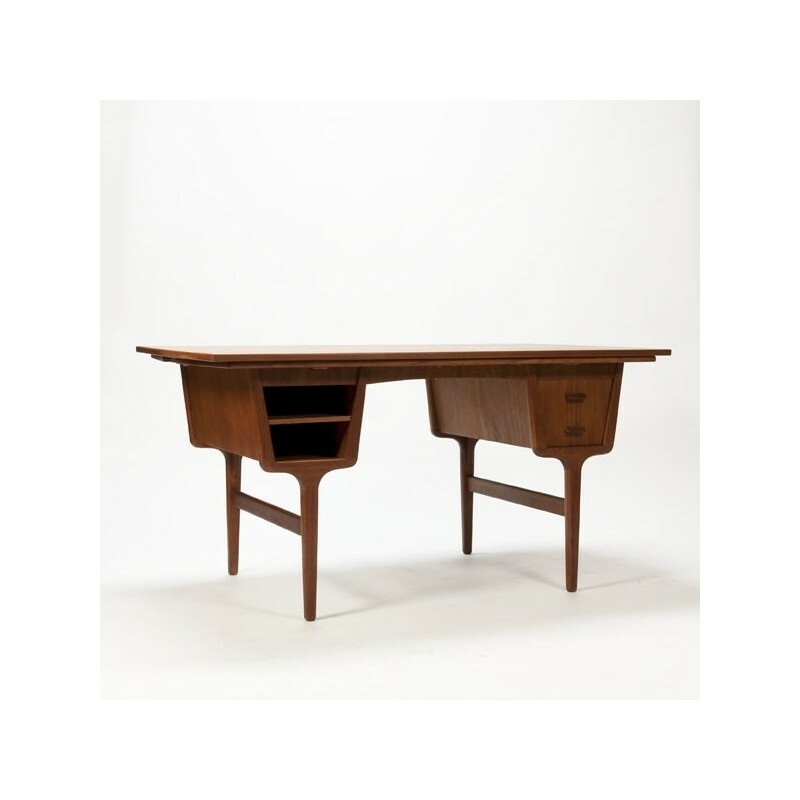 It is also possible to expand the desk by means 2 separed sheets (these are below the worksheet). 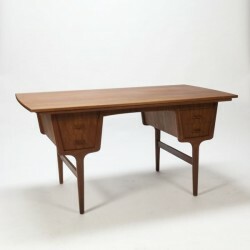 The condition is good, for details, see the photos.